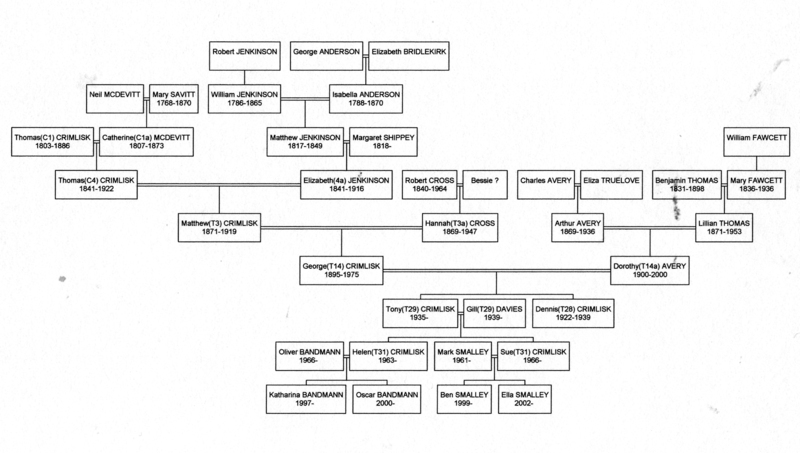 George Matthew was the second child and first son of Matthew Crimlisk and Hannah Cross. George Matthew, age 15 was living with his family at 15 Queen Street, Filey, see Filey 1911 for details. 1919: George Matthew's father, Matthew Crimlisk died in the emulator disaster. Following this, George Matthew was demobbed and joined the 'Triffin' - a steam drifter. After about six months his mother Hannah sold the nets on the 'Triffin' which she owned, and George Matthew left the sea to set up business as a fish buyer in Scarborough. 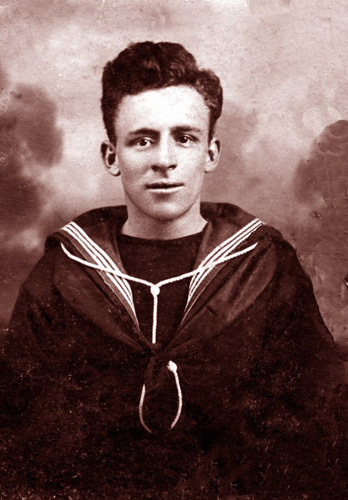 He wasn't successful so, after various odd jobs, including working on a dredger in Hull, in the autumn of 1920 he joined his uncle coxswain Robert Cross as a lifeboatman at Spurn Point, first on the 'Samuel Hawkins' then, after the building of the new slipway, on the 'City of Bradford' - where, with the others, he was awarded a vellum presented by the Duke of Windsor, then Prince of Wales. 1923: The City of Bradford Lifeboat Crew were visited by HRH The Prince of Wales, see Royal Visit - photograph. See also City of Bradford Lifeboat Crew - photograph. 1931: George was present at the wedding of his sister Kathleen, see wedding day photograph. 1935: Anthony Crimlisk was born. 1939: Dennis Crimlisk died age 16 years. Ref: RG14PN28919 RG78PN1665 RD527 SD1 ED3 SN168. N.B. The family is listed as "Crimlish". GRO Volume 9d Page 793 N.B. George is isted as "Crimlick". Index accessed: 5th February, 2014.